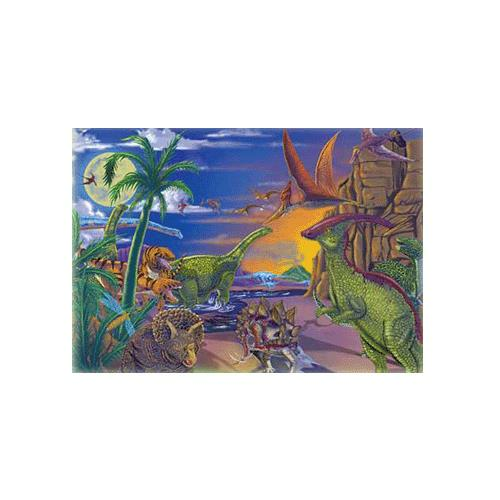 Melissa & Doug Land of Dinosaurs Jigsaw Puzzle is an extra thick 60 piece cardboard puzzle that features a dramatic scene with dinosaurs lumbering on the land and soaring in the sky, with a volcano erupting in the distance. It is fun to explore these amazing creature. The bright and sturdy packaging will withstand many uses. Recommended for children ages five years and above.